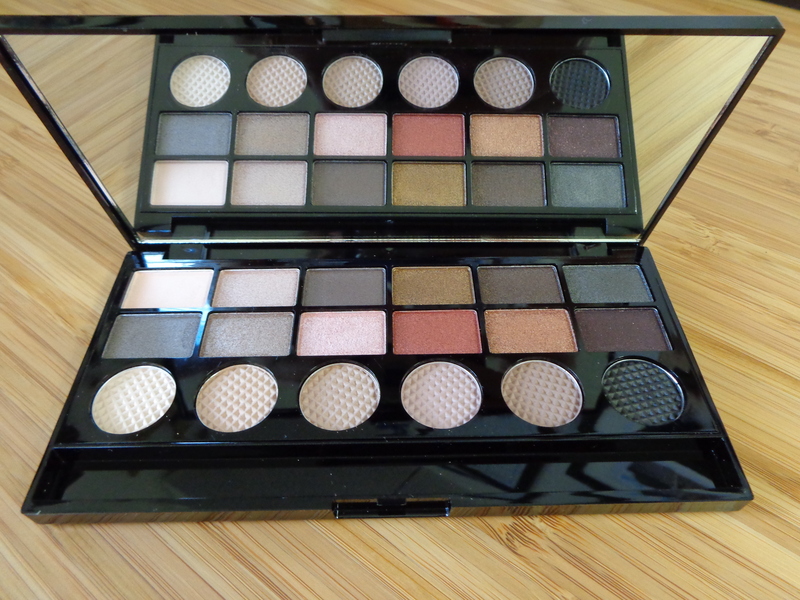 Welcome to day one of the ‘MR Salvation Series – 7 palettes in 7 days.’ All of these Salvation Palettes from Makeup Revolution are EXCELLENT quality. 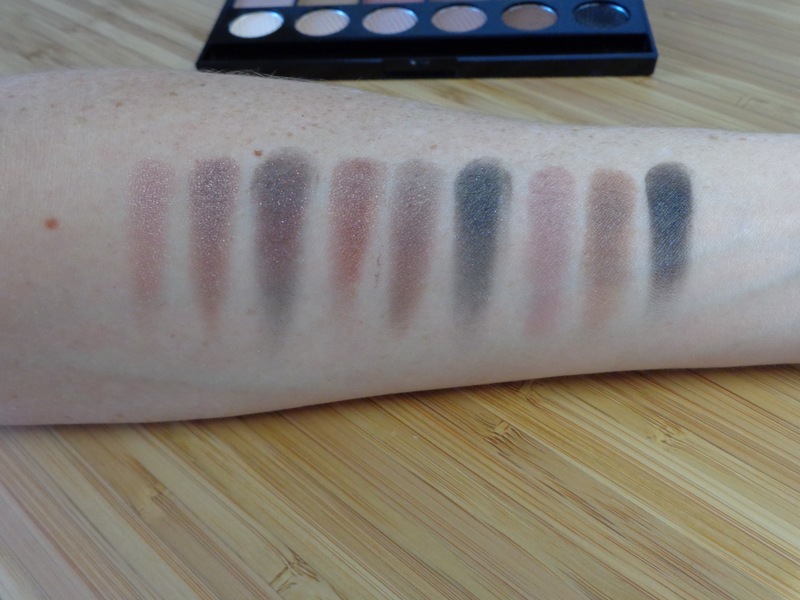 The first two rows of 12 rectangular shades in each palette are all shimmers and the 6 circular shades are all mattes. 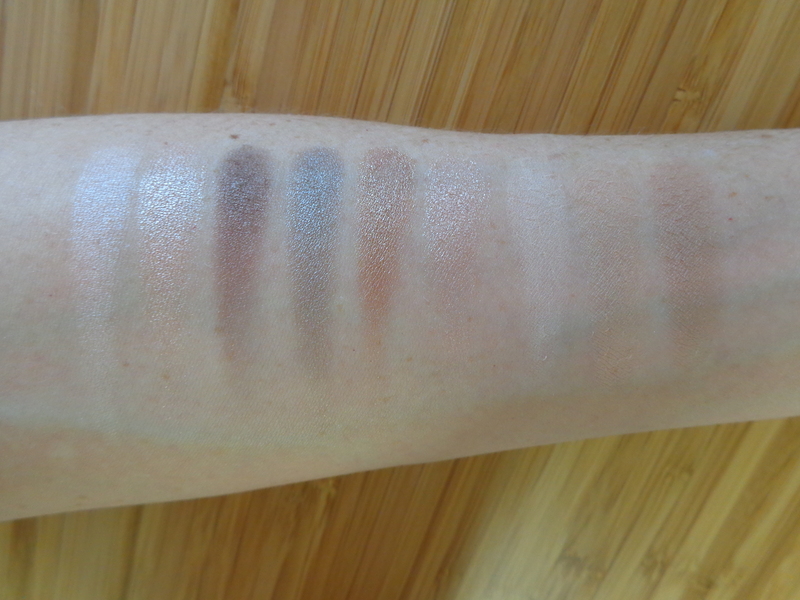 To generalise, the shades are universally soft and pigmented. 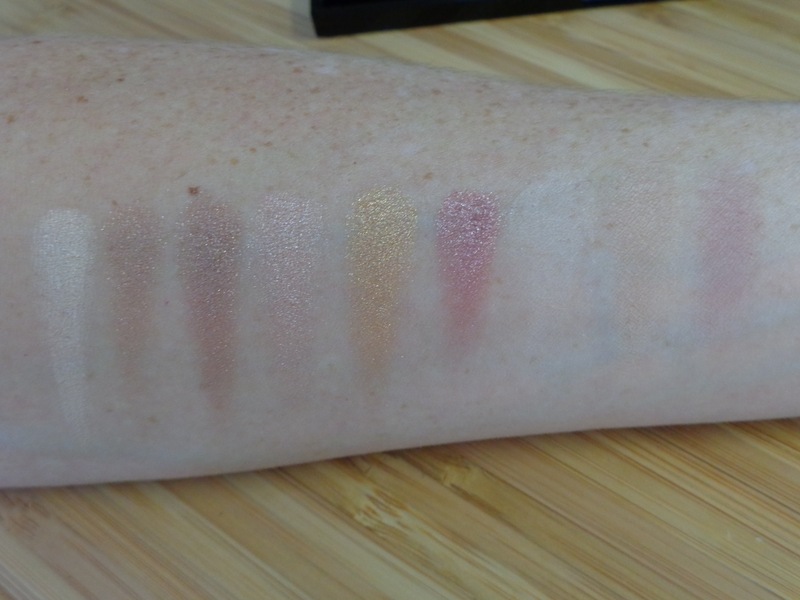 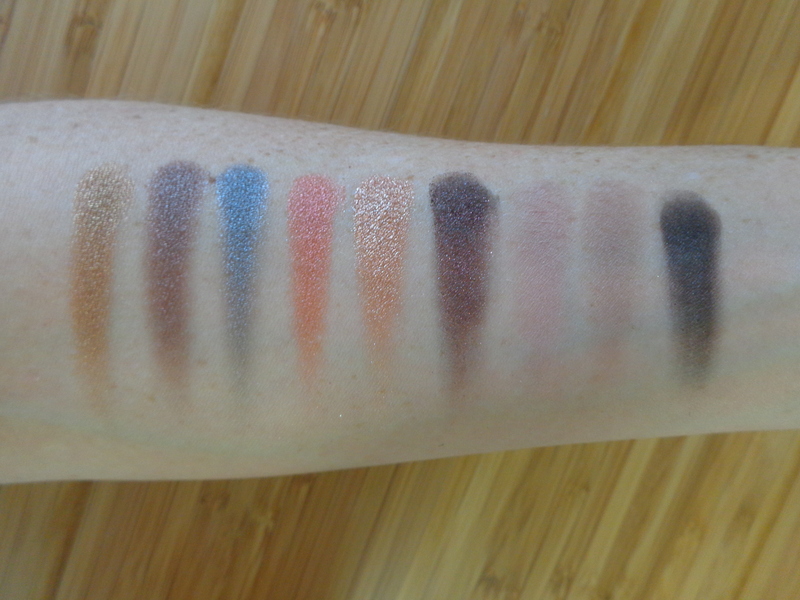 The shimmer shades tend to be more buttery while the matte shades can be a bit more chalky, but I find that they all blend really nicely and last all day without creasing with a primer. 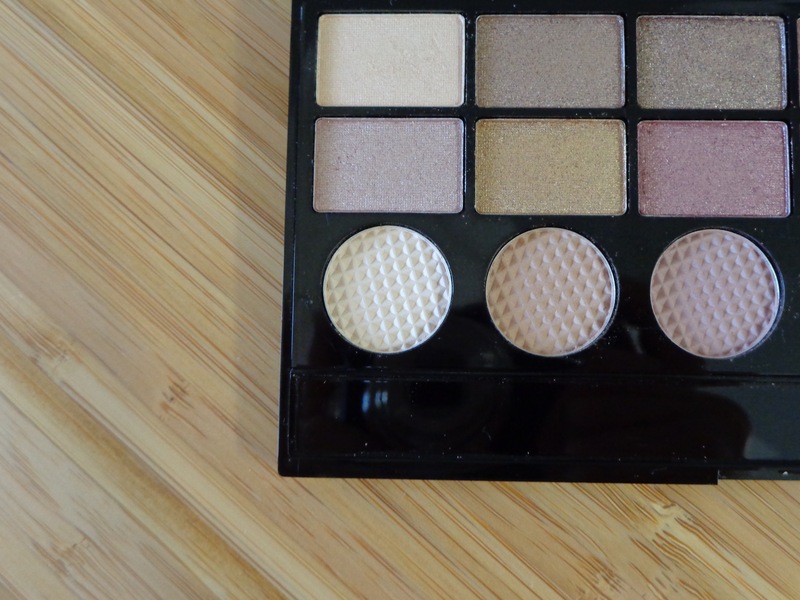 I find these Salvation palettes to be super practical because they offer such a nice balance of matte and shimmer shades… which may help to explain why I have ended up with 7 of these palettes! 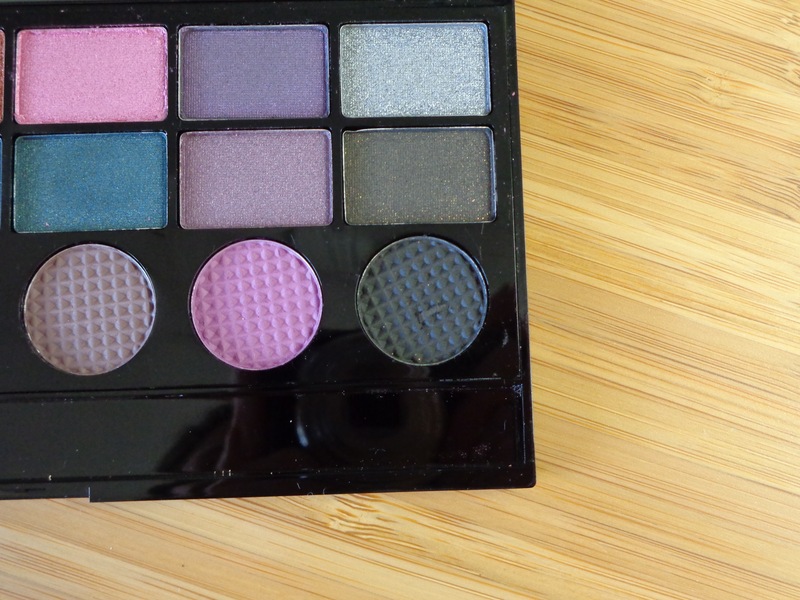 (eek – don’t judge!) 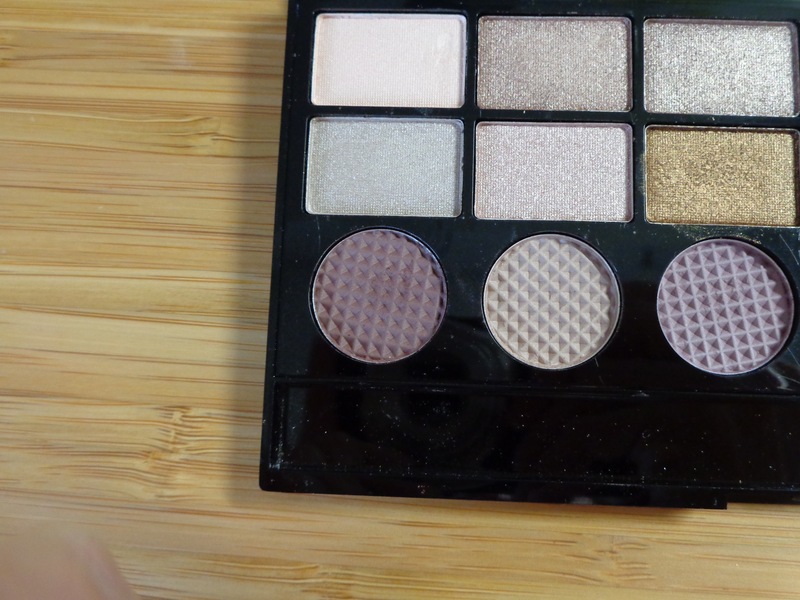 Anyway – enough talk. 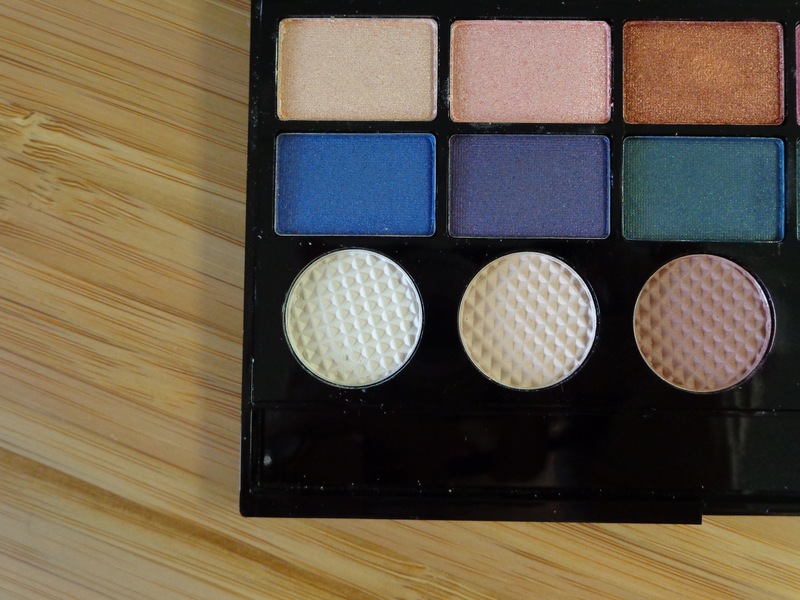 Lets get into reviewing the Salvation palette of the day! 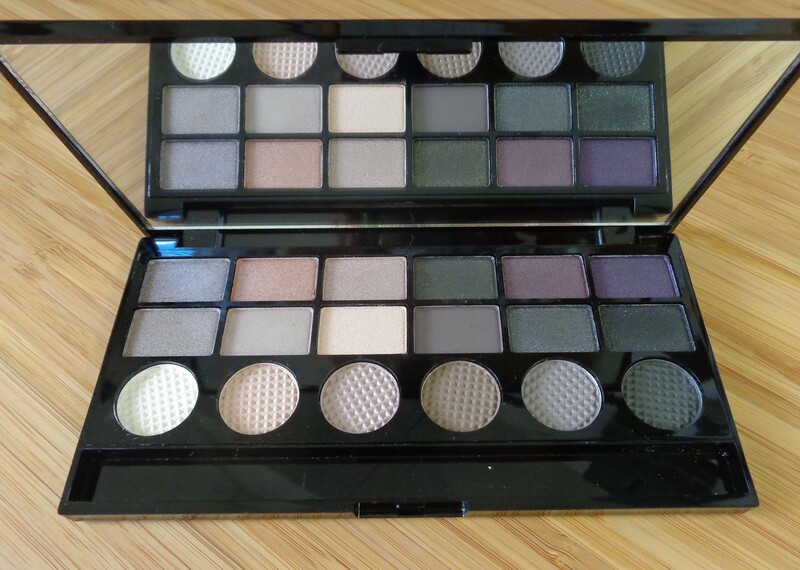 I am going to kick off this series with ‘Welcome to the Pleasuredome.’ This palette offers an interesting mix of neutrals with some really pretty pops of colour. 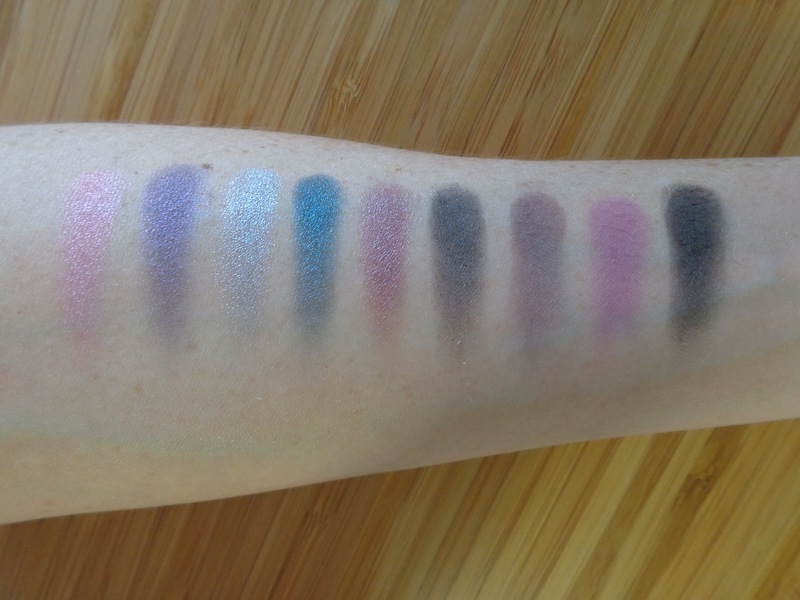 For the purpose of this post I am going to divide ‘Welcome to the Pleasuredome’ in half and address the 9 neutral colours first. 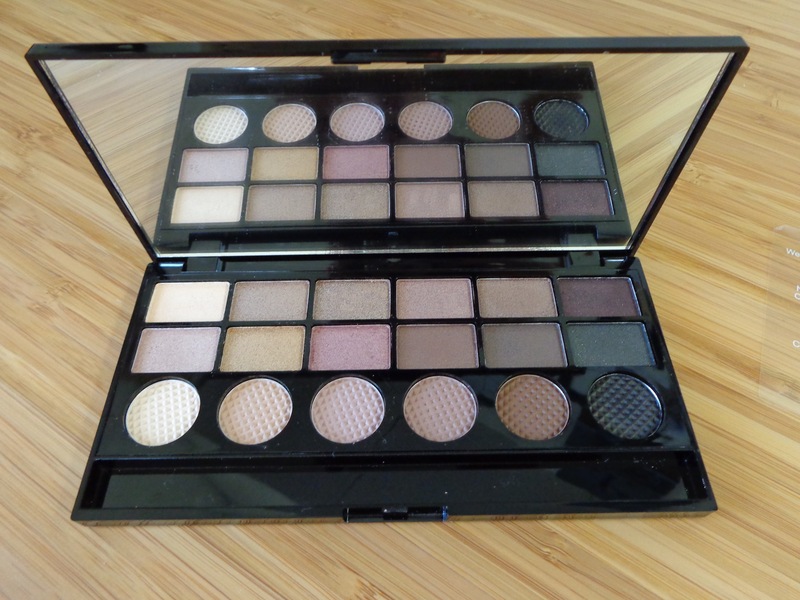 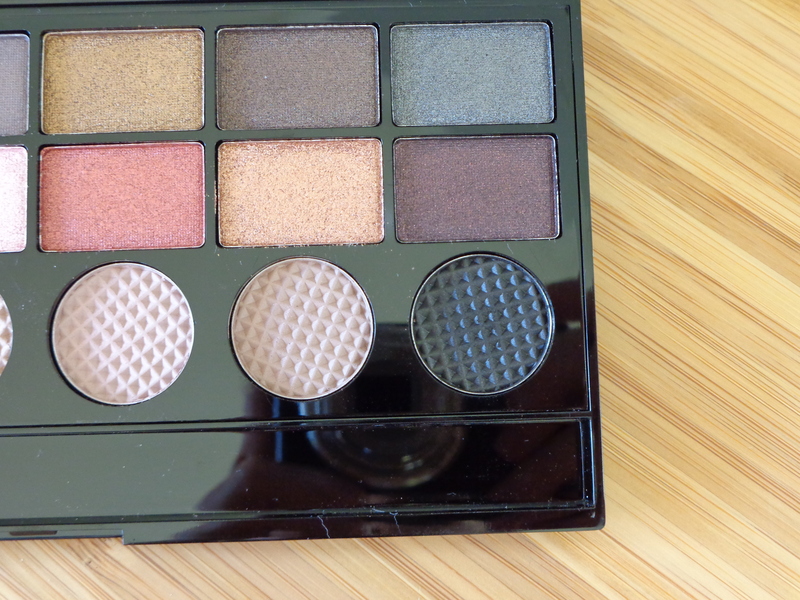 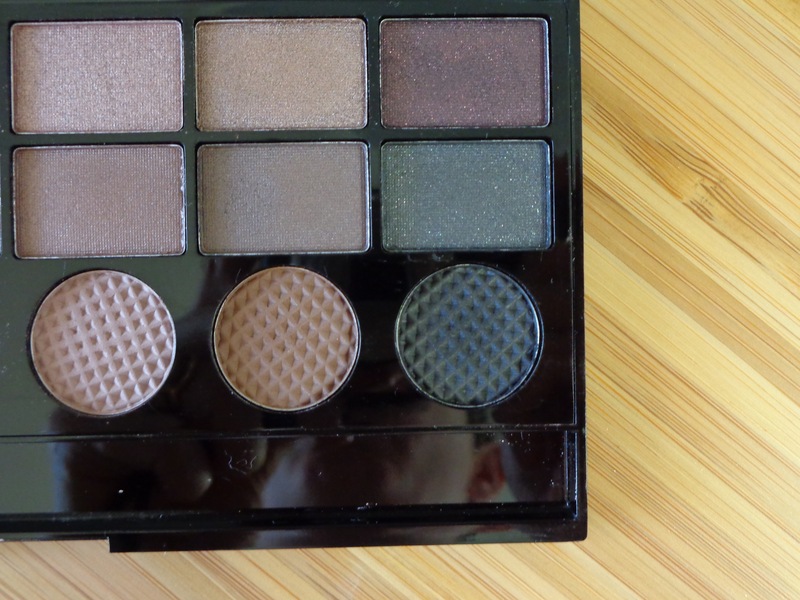 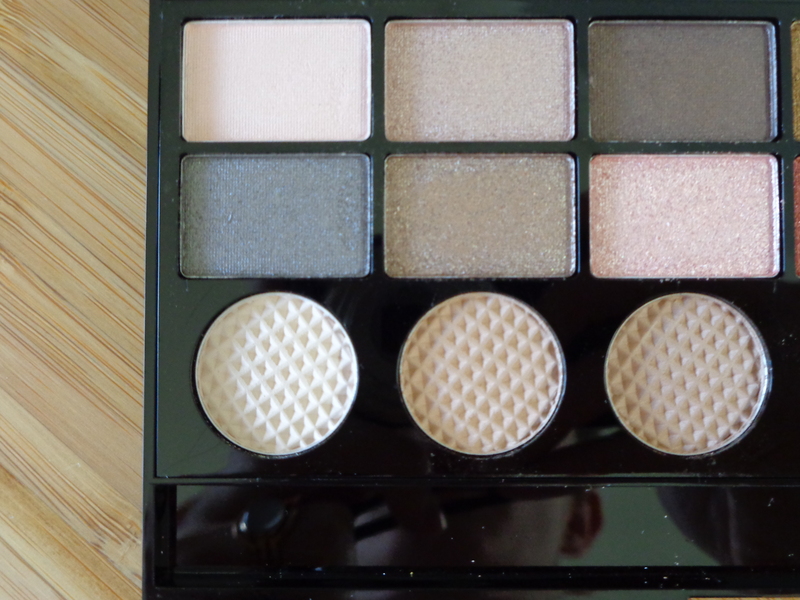 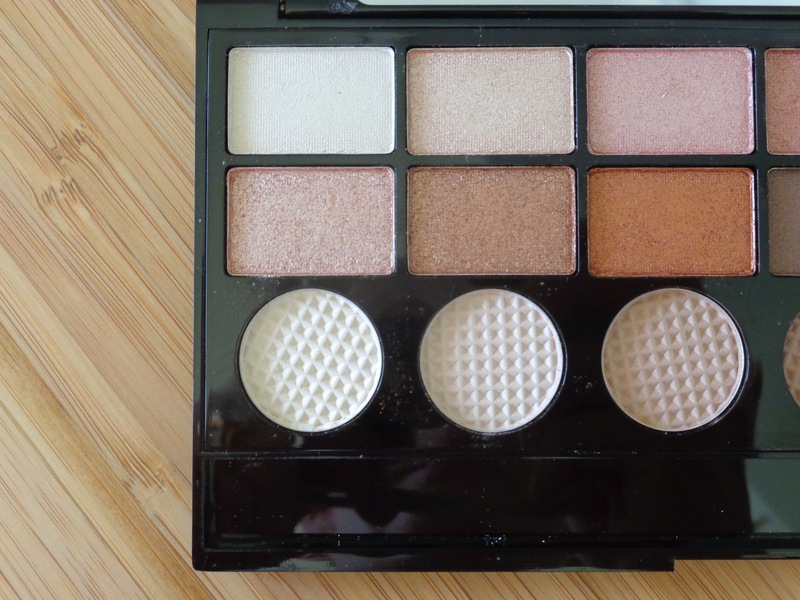 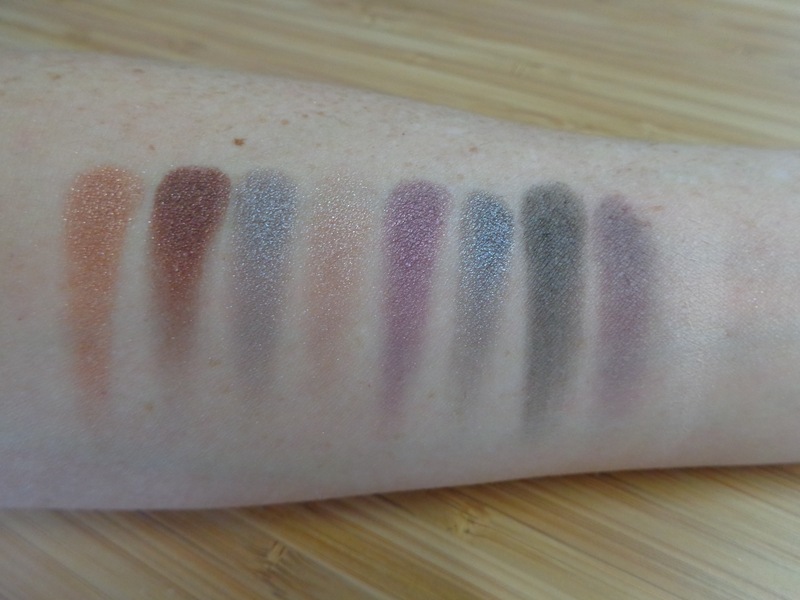 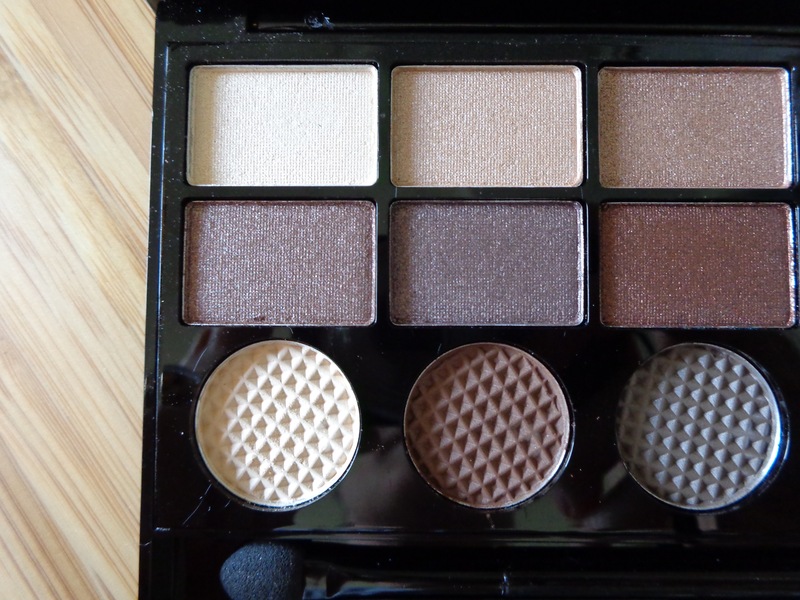 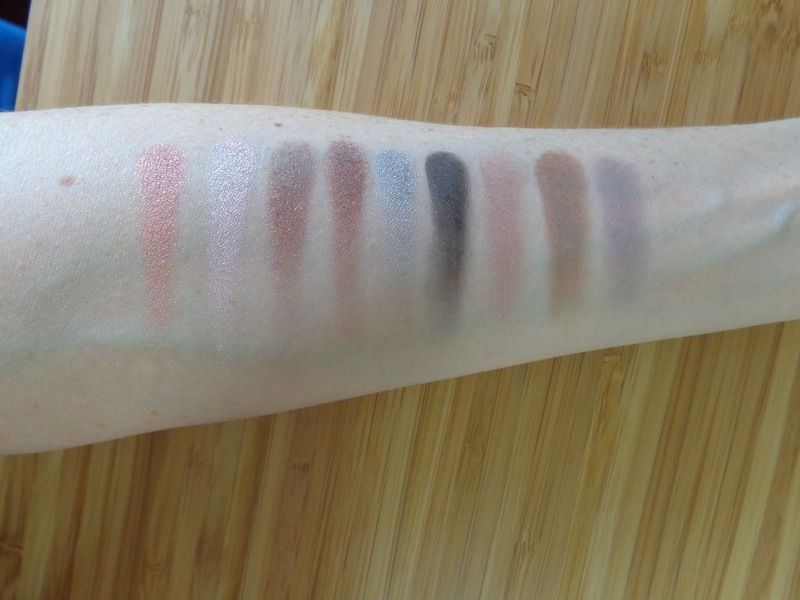 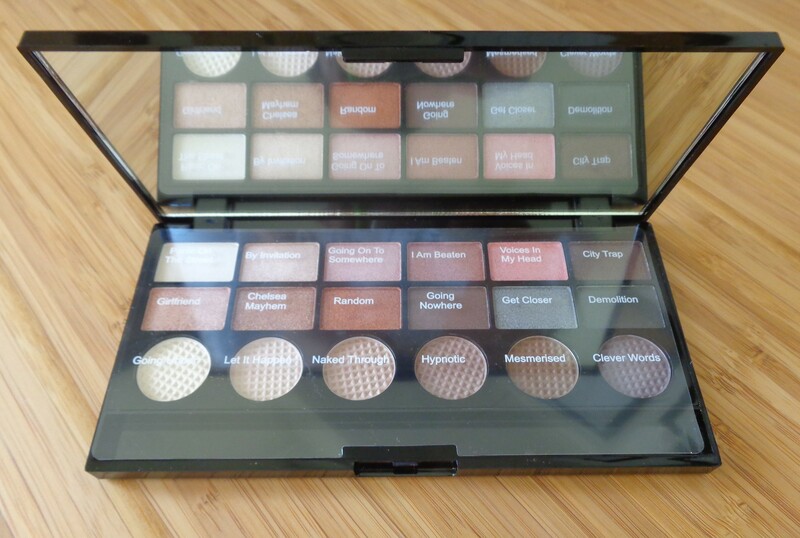 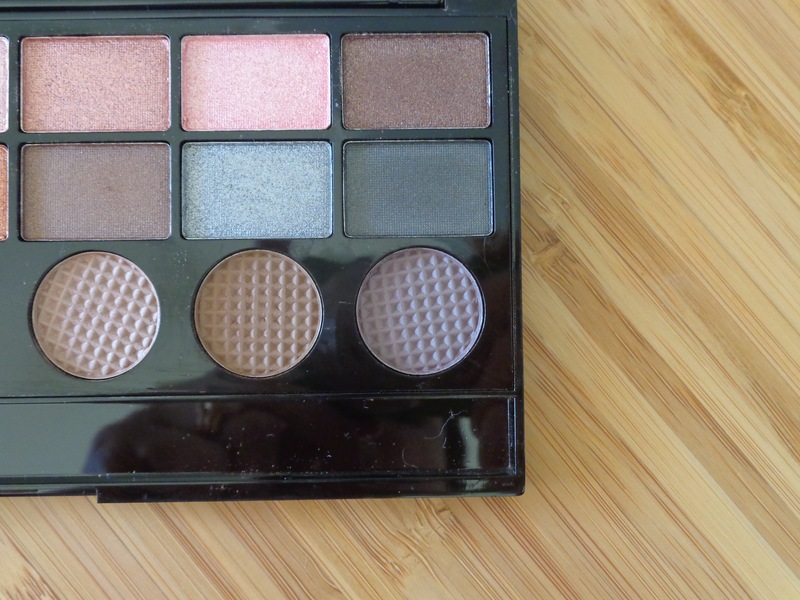 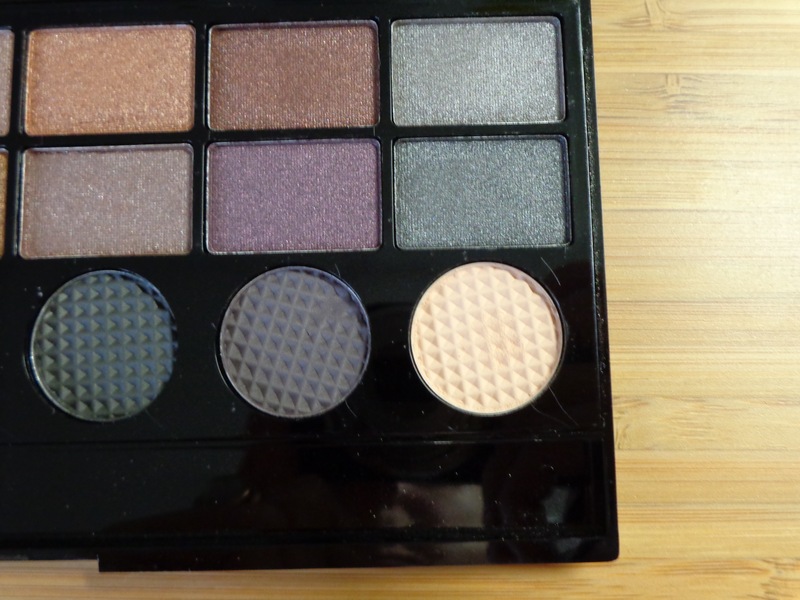 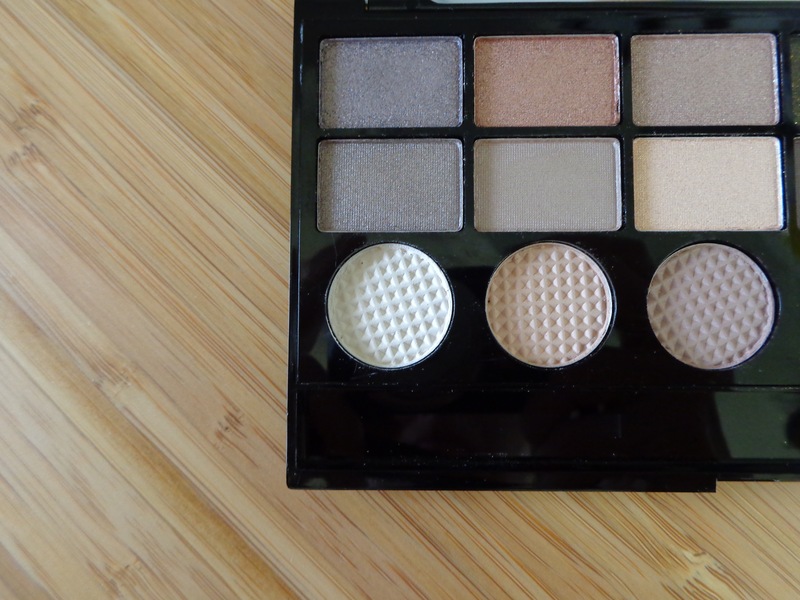 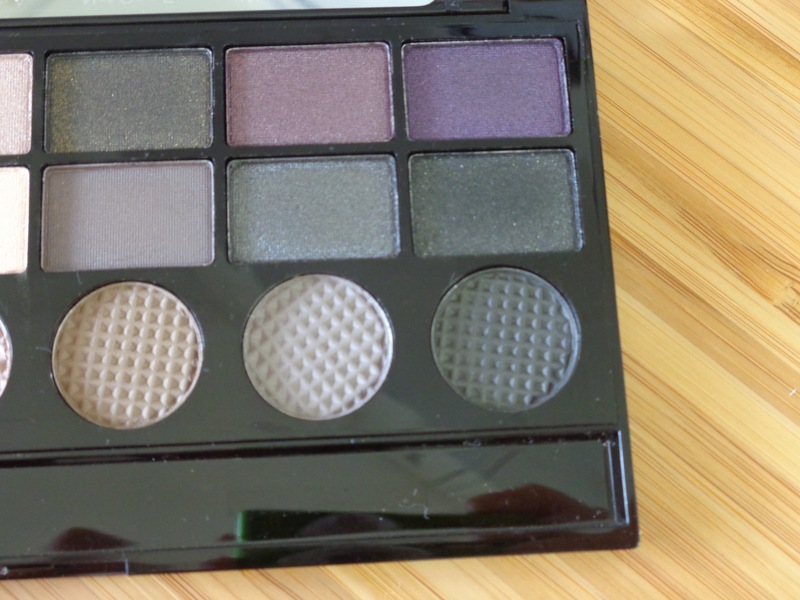 The neutral colours in this palette are really pretty and so wearable. 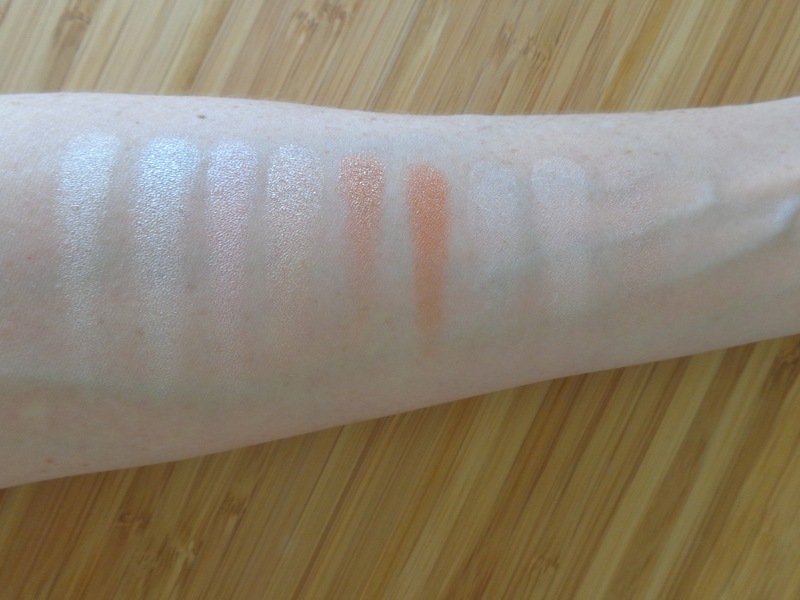 My pick of these colours is called ‘Xanadu.’ It is such a stunning Champagne colour (swatch 2). 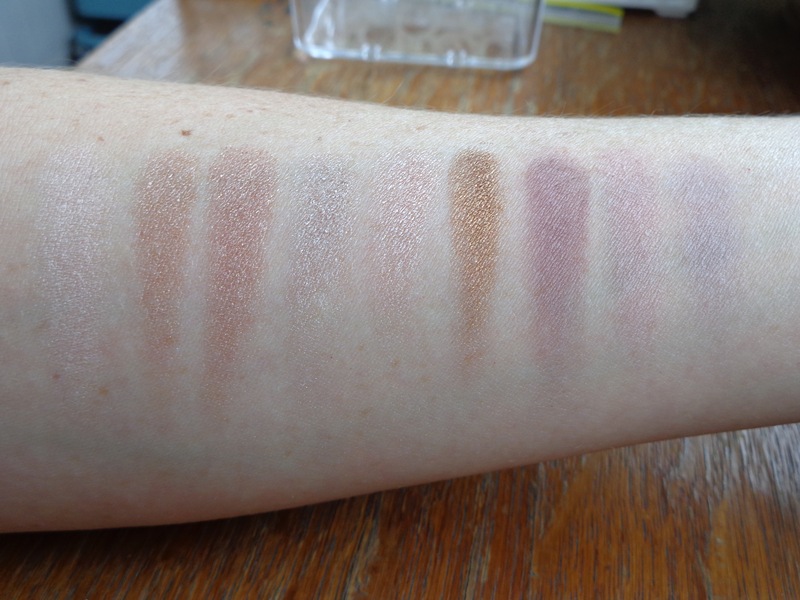 Unfortunately the first matte shade, called ‘What a Push Over’ hasn’t swatched well in the photo but that is mainly because it is such a close match to my skin colour. 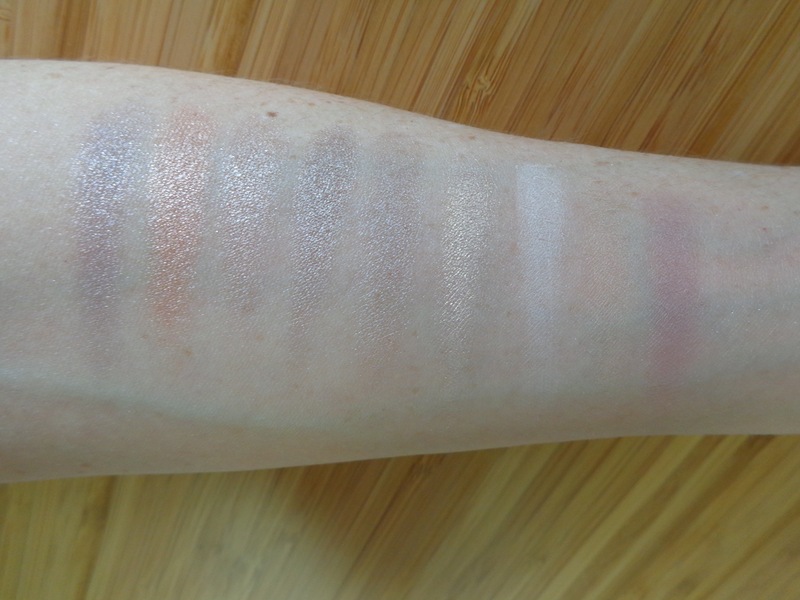 Swatches: Using my Power, You Really Can’t Afford Me, Even When They Reach the Top, Sell it by the Hour, Shooting Stars Never Stop, There Goes a Supernova, Love Your Body, I Can Do It and Never Doing What I am Told. 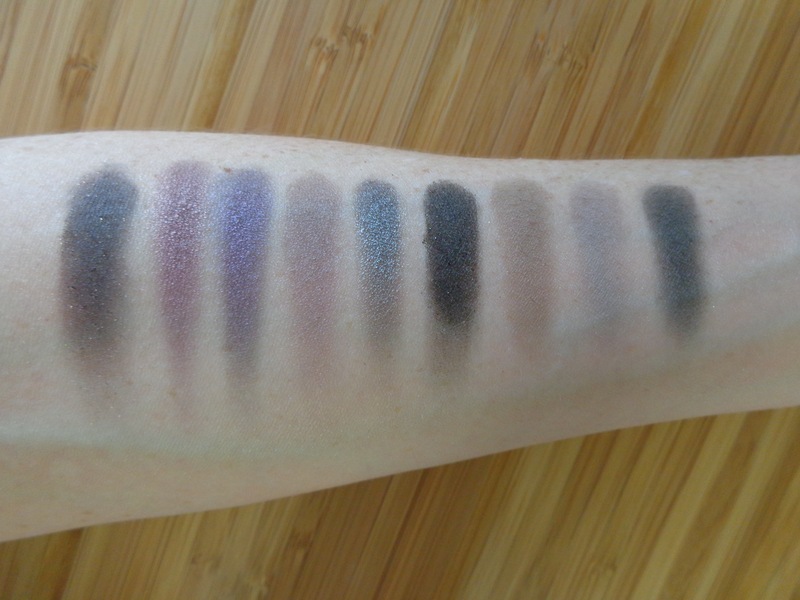 The 9 brighter shades in this palette are really lovely. 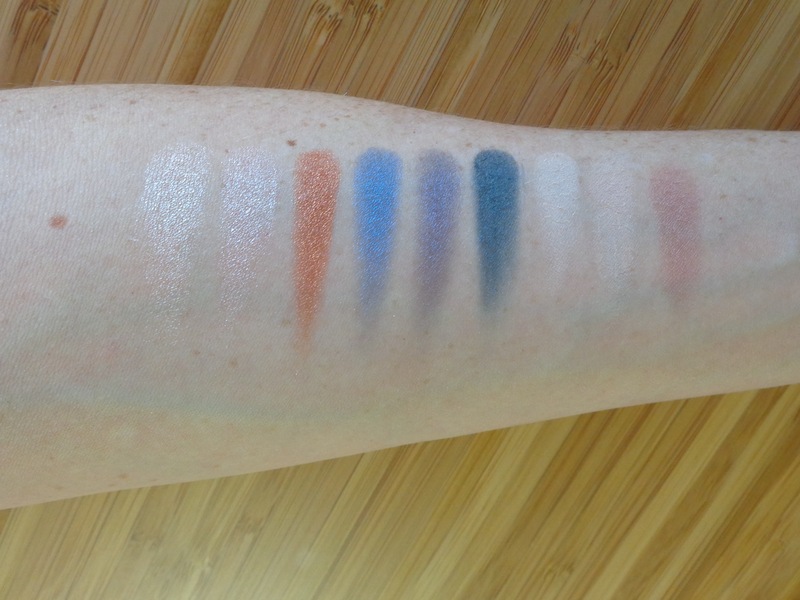 ‘Using my Power’ (swatch 1) is stunning, as is the next colour along (I have not idea how to described that colour… apparently I have no vocabulary for colours!) 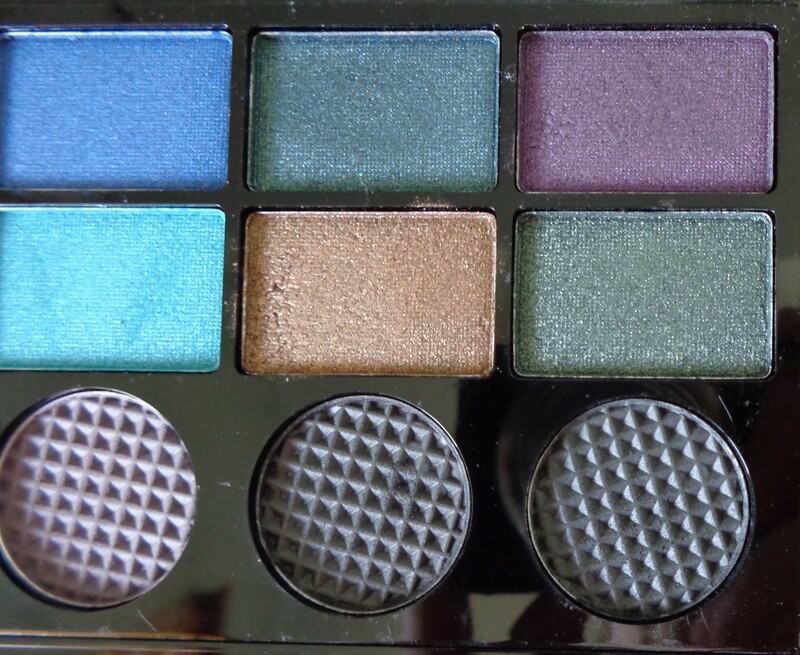 called ‘You Really Can’t Afford Me.’ I also adore the stunning teal colour called ‘Sell it by the Hour’ (swatch 4). 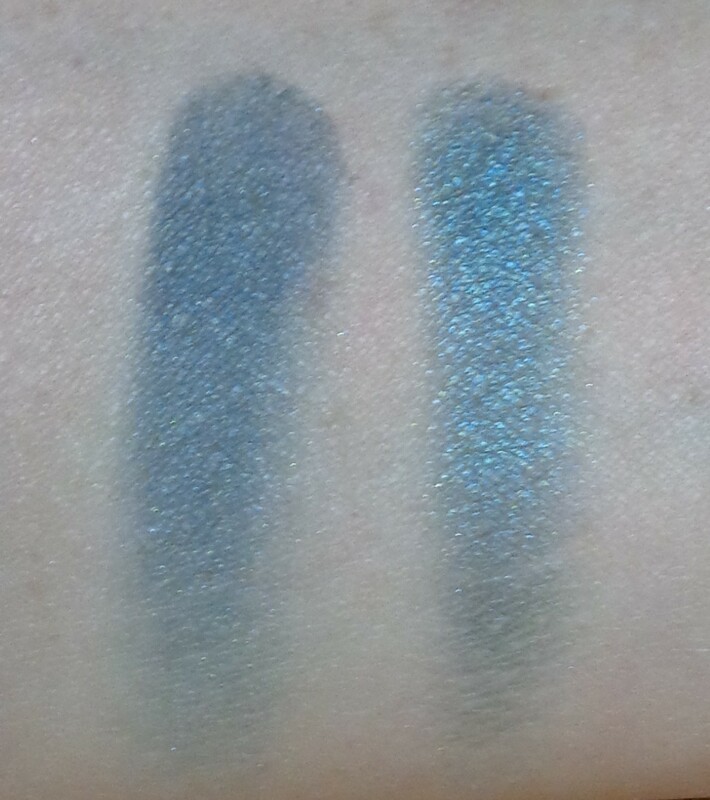 It is pulling a bit more light blue in the photos but it really does have a green undertone which makes it so unique. 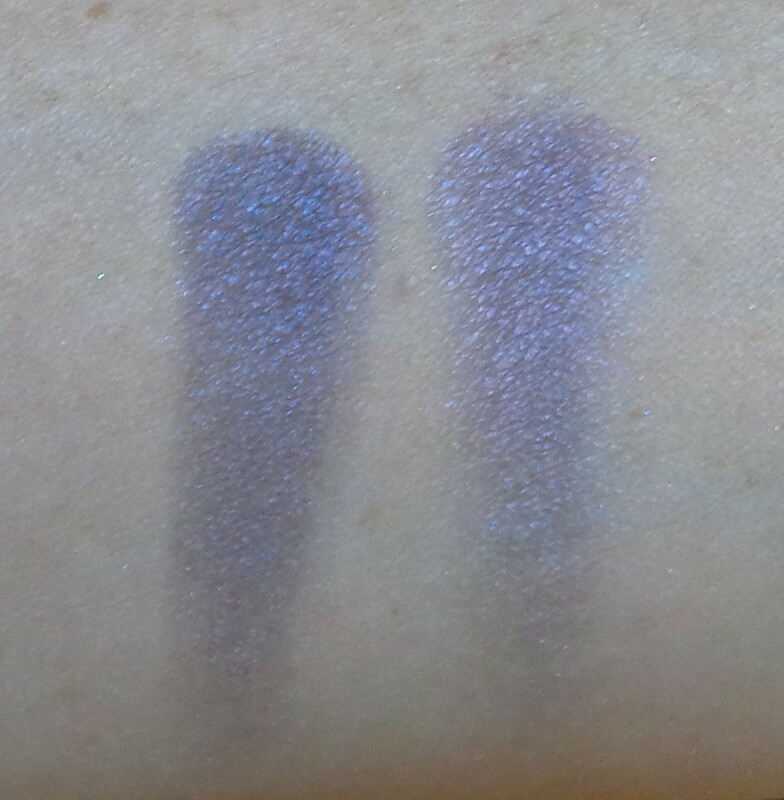 I love it along the lower lash line; it really makes my blue eyes pop! 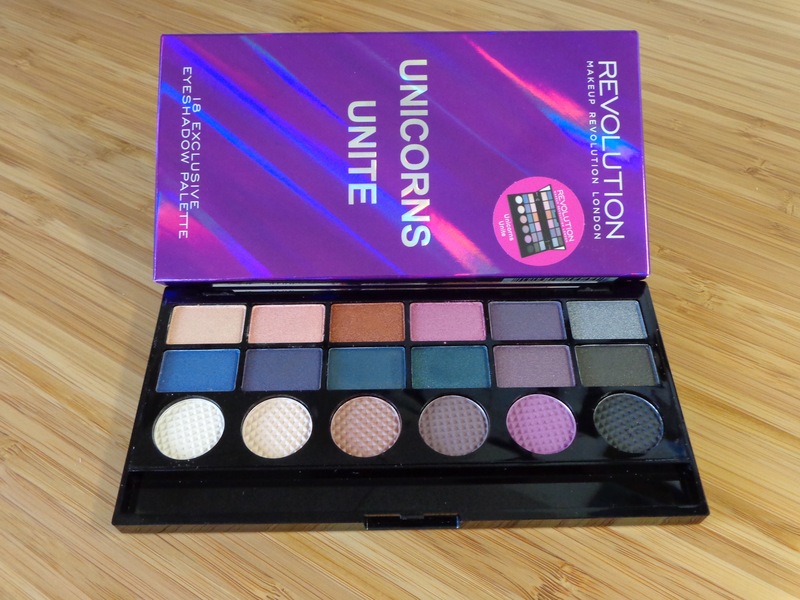 This entry was posted in Makeup Revolution Reviews, MR Salvation Series - 7 palettes in 7 days and tagged 18 eyeshadow palette, budget friendly makeup, cruelty free, makeup revolution, megansmakeupmuses, Professional Eyeshadows, Salvation Palette, Welcome to the Pleasuredome on June 29, 2015 by megansmakeupmuses.